SQL Navigator (affectionately know as SQL Nav) is an awesome tool for application developers. 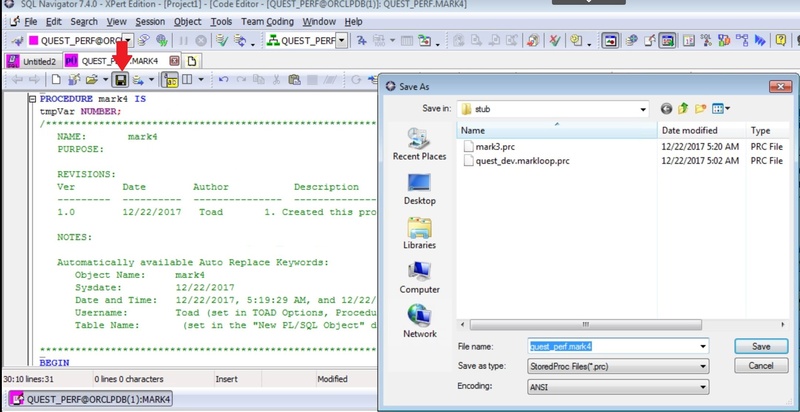 It has all of the features a developer needs: SQL tuning, PL/SQL debugging, schema browser, code completion, etc. 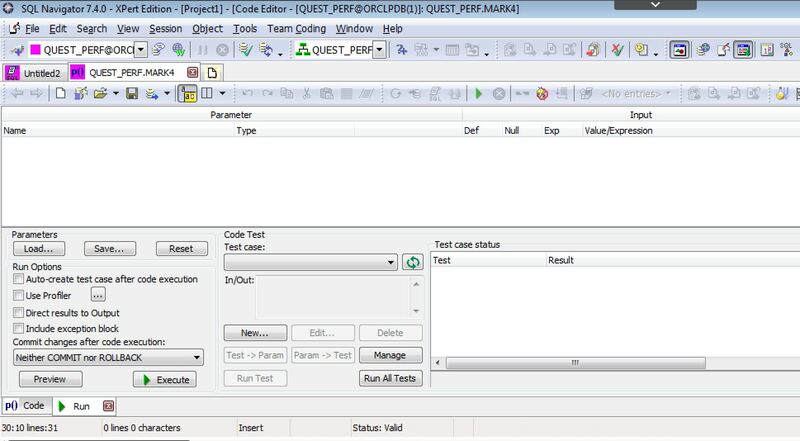 One of the features of SQL Nav is the ability to work with various flavors of version control systems (VCS). 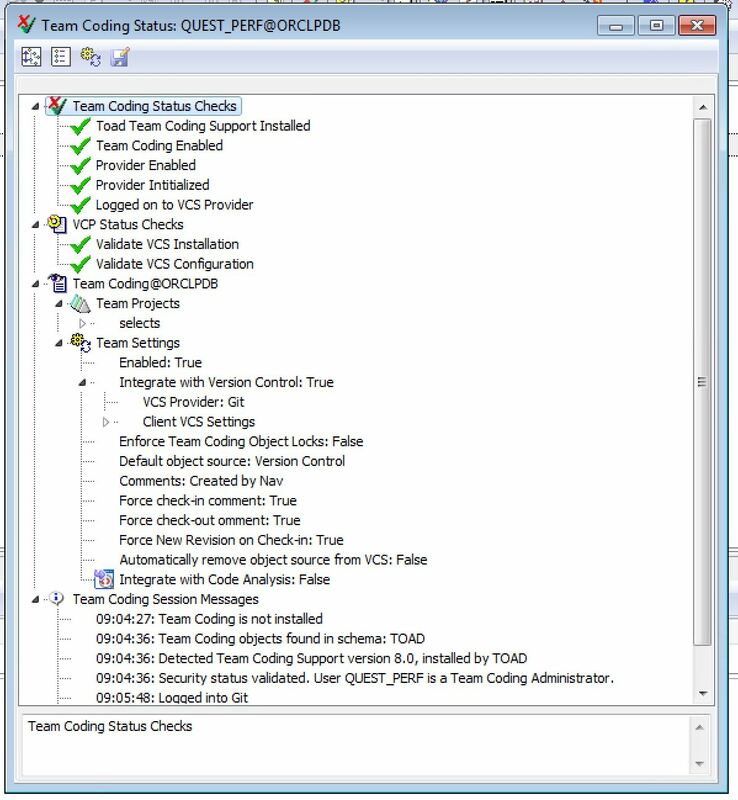 Setting up VCS support is part of the Team Coding utility. Above you can see all of the actions available to you on the Team Coding menu. Choosing the ‘Administer’ menu item will open this window. You can see you have several options available to suit your needs. On my system I use Git but you can see there is support for many other systems. 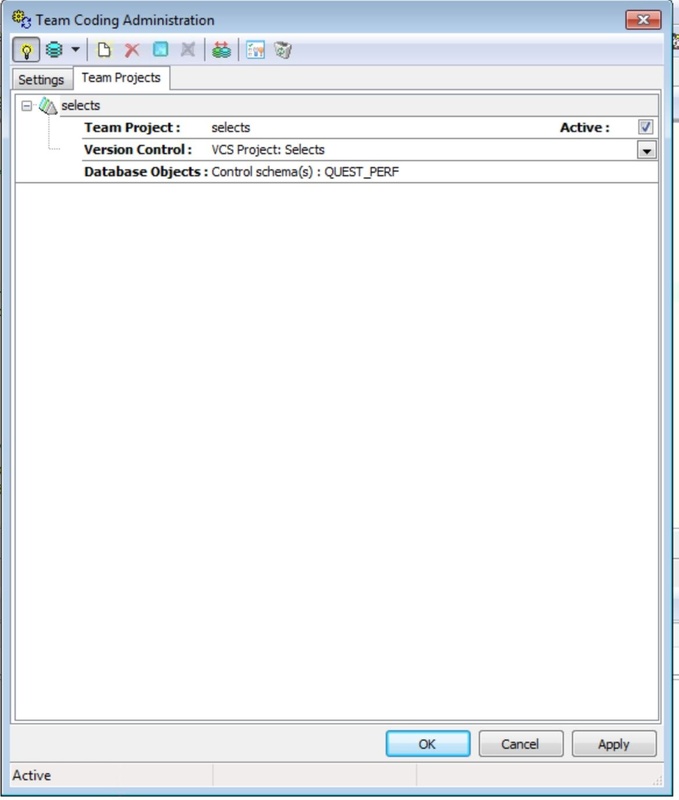 You simply choose your VCS provider, decide on the settings you want to use for your VCS, choose a ‘Team Project’, as shown in the two screenshots below, and you are all set. 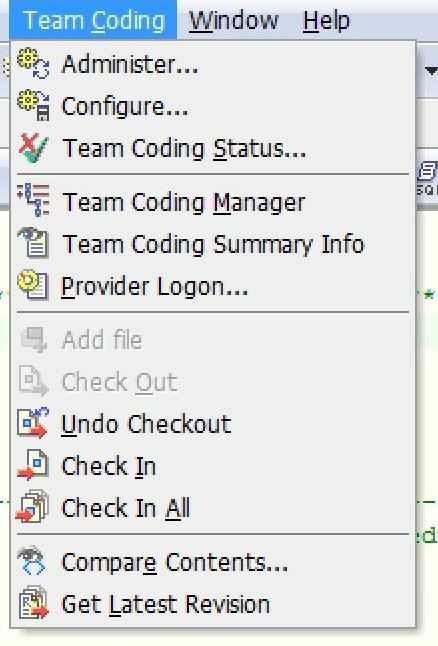 You can always view the status of your Team Coding/VCS environment by choosing ‘Team Coding Status’ from the main menu. 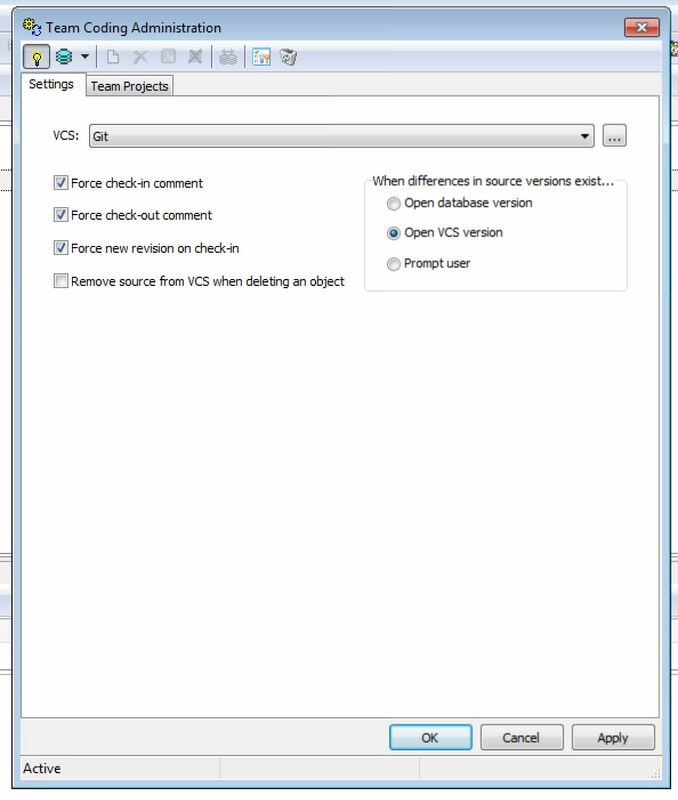 Once you have Team Coding set up to work with your VCS you will be prompted to automatically connect to it when you start SQL Nav, as shown below. This makes for an easy set-and-forget feature. Now you don’t have to try and remember whether or not you have connected to your VCS every time you connect. 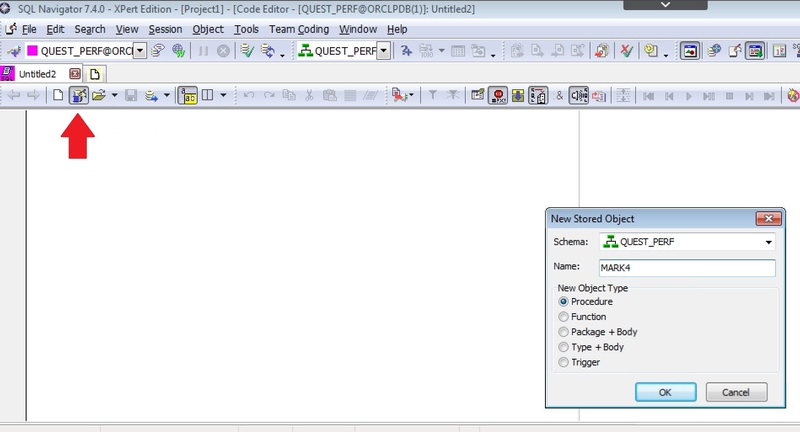 Clicking on the ‘create new object’ icon (above the red arrow) opens the ‘new stored object’ dialog box. Choose the ‘procedure’ radio button to create a new procedure. This is the code for the new procedure. Pretty basic code, nothing fancy here, but it will works. Now, to get this into the VCS library, you need to save it. Simply save it to a folder you have defined previously for your VCS. In your system you will have defined a folder, or several folders, and you are now just adding a file to that folder. Once you have checked it out from the VCS you will want to compile this procedure into the database. After this is done you may need to makes some changes to it; add features, delete features, etc. The normal app dev things you every day. Just start working with it as necessary. 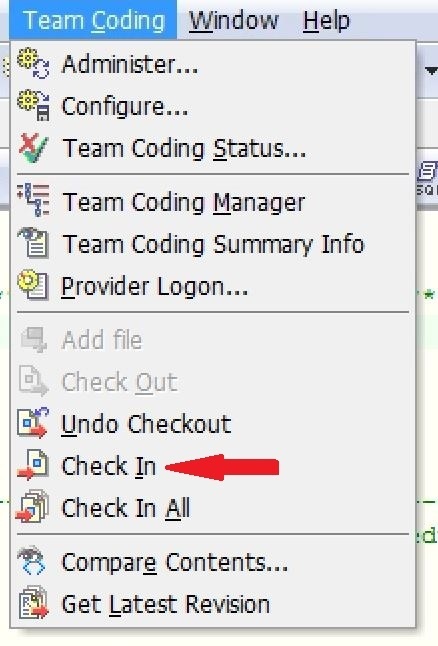 Once you are done for the day and you have saved your changes you can check-in your code to the VCS. This is done from the Team Coding menu at the top of the screen. Add comments as necessary, make sure you are using the proper VCS project, and you are good to go. The ‘Selects’ VCS Project is being used, as shown below. You can see that the MARK4 procedure has been added to the Selects folder in Git. 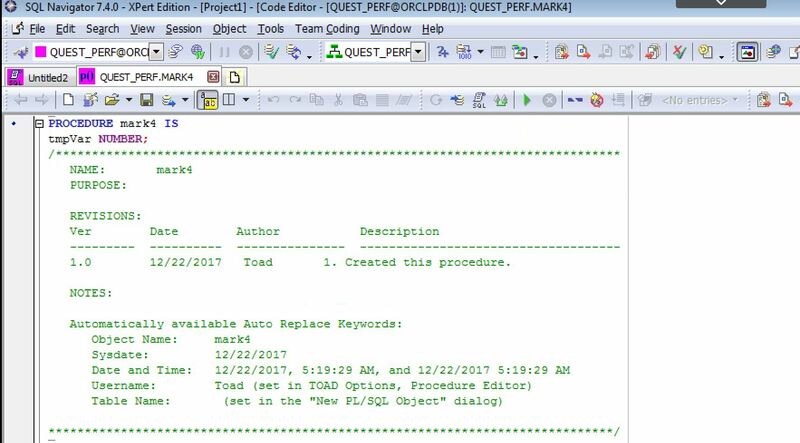 Hopefully you found this information helpful and as you continue working with your existing code, or create new code, the SQL Nav Team Coding utility can help you manage your code in your VCS. If you need more information you can visit us at the SQL Navigator product page.